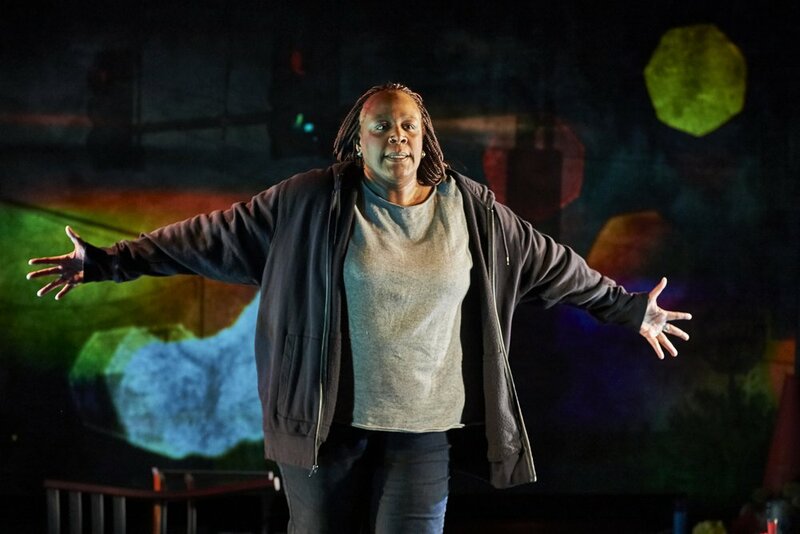 Rattlestick welcomes back alumni writer Dael Orlandersmith (Horsedreams, Pulitzer-Prize Finalist Yellowman) with the New York premiere of her piece UNTIL THE FLOOD, written in response to Michael Brown’s death and commissioned by St. Louis Repertory. Having interviewed scores of St. Louis residents, Orlandersmith portrays the many faces found within the community, giving each a chance to take center stage and holding no one viewpoint above others. DAEL OLANDERSMITH previously collaborated with Rattlestick Playwrights Theater on Horsedreams in 2011 after it was developed at New Dramatists and workshopped at New York Stage and Film Company in 2008. Monster premiered at New York Theatre Workshop in November 1996. 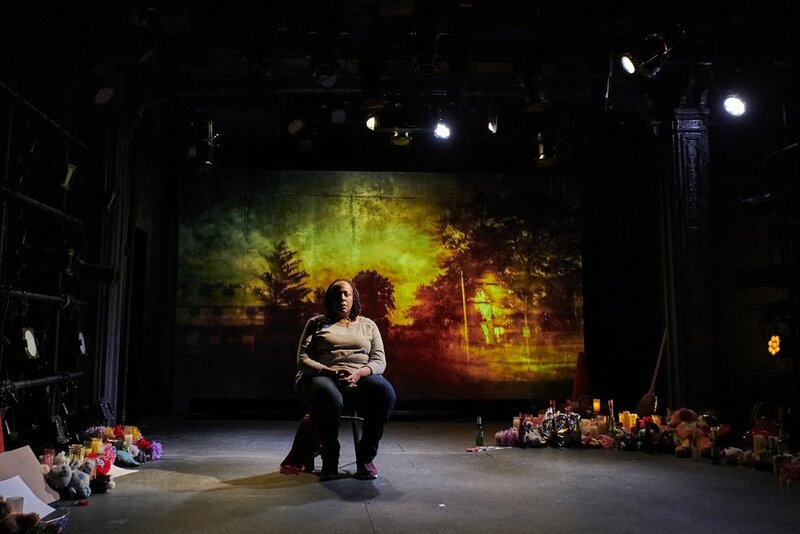 The Gimmick, commissioned by McCarter Theatre, premiered in their Second Stage OnStage series in 1998 and went on to great acclaim at Long Wharf Theatre and New York Theatre Workshop; Orlandersmith won the Susan Smith Blackburn Prize for The Gimmick in 1999. Yellowman was commissioned by and premiered at McCarter Theatre in a co-production with The Wilma Theater and Long Wharf Theatre. 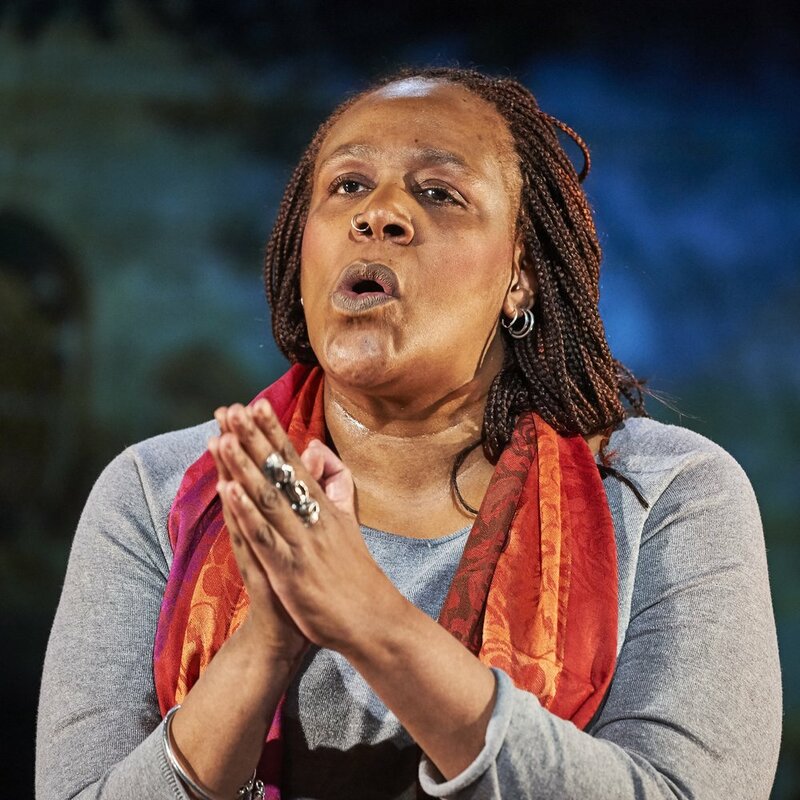 Orlandersmith was a Pulitzer Prize finalist and Drama Desk Award nominee for Outstanding Play and Outstanding Actress in a Play for Yellowman in 2002. The Blue Album, in collaboration with David Cale, premiered at Long Wharf Theatre in 2007. Stoop Stories was first performed in 2008 at The Public Theater’s Under the Radar Festival and Apollo Theater’s Salon Series; Washington, DC’s Studio Theatre produced its world premiere in 2009. Bones was commissioned by the Mark Taper Forum where it premiered in 2010. Black N’ Blue Boys/Broken Men was developed as a co-commission between the Goodman and Berkeley Repertory Theatre, where it was staged in May 2012. Orlandersmith wrote and performed a solo memoir play called Forever, at the Kirk Douglas Theatre in Los Angeles in 2014, at the Long Wharf and New York Theatre Workshop in 2015, and at Portland Center Stage in 2016.Forever at the Abbey Theatre in Dublin in July 2017. In Fall of 2016, Orlandersmith wrote and performed Until the Floodwhich was commissioned by St Louis Rep. In 2018, it will be produced at Rattlestick Playwrights Theater in New York, Milwaukee Rep, Goodman Theater, and ACT Seattle. Orlandersmith has toured extensively with the Nuyorican Poets Café (Real Live Poetry) throughout the United States, Europe and Australia. YELLOWMAN and a collection of her earlier works have been published by Vintage Books and Dramatists Play Service. Orlandersmith attended Sundance Institute Theatre Lab for four summers and is the recipient of a New York Foundation for the Arts Grant, The Helen Merrill Award for Emerging Playwrights, a Guggenheim and the 2005 PEN/Laura Pels Foundation Award for a playwright in mid-career. She is the recipient of a Lucille Lortel Foundation Playwrights Fellowship and an Obie Award for Beauty’s Daughter. Orlandersmith is currently working on two commissions .